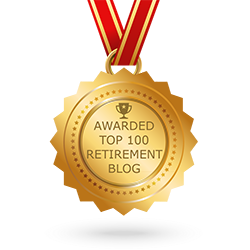 Is America’s Retirement System Failing You? Does this sound familiar? Thousands of Baby Boomers rushing into retirement each and every day…pensions underfunded all over the country…Americans living longer and pushing the retirement system to its threshold…you get the drift, right? The American retirement system is under duress and is causing problems for thousands of people. And although we have seen plenty of press and media coverage about the pitfalls of various aspects of the retirement system, we still haven’t seen much by way of reform. But, there is an answer for you. You can take control of your own retirement and plan properly. Does your advisor have the appropriate planning process that will help you develop a plan you can rely on through thick and thin? If you are banking on your employer’s contribution plan, or the stock market, you may want to think again. Tune in to Income For Life Radio this Sunday or simply wait for the podcast on our website at www.IncomeForLife.org as we discuss the various issues that could affect you over the next 20,30 or even 40 years – and what you need to do to protect yourself. America’s retirement system may be failing you, but you can do something about it.